“Scientists Hollow Fortune” picks up right where we left off, with Jane meeting Oscar under the cover of night. Don’t forget: Jane must complete Oscar’s missions in order to prove her loyalty. The first of these missions is simply to plant a replica of Mayfair’s pen on her. We’re left to ponder, how does Oscar know what Mayfair’s pen looks like? Who are his eyes on the inside? After a weird sequence of Jane squinting at its dissembled parts, she takes it to work with a guilty conscience. There, Weller catches her in the locker room, and apologizes for not having shown up to their meeting place. Playing along, Jane agrees they shouldn’t complicate their romance. It’s obvious Weller wants Jane, but she’s got other fish to fry. And because each episode is predictably bookended with Jane’s man problems, we’ll return to Weller and Oscar in a bit. The meat of this episode revolves around an Airborne soldier, Charlie Napier (Gaius Charles, who played Smash Williams on Friday Night Lights) who was declared dead after an IUD attack in Iraq. It turns out he and four other soldiers actually survived the attacks, but were secreted away by a private military contractor to be test subjects for a wacky cocktail of drugs meant for mercenary soldiers. Discovered wandering around the countryside by a civilian, the drugged-up Charlie is dropped off at the nearest military compound, where he kills several men as if by muscle memory, then flees. 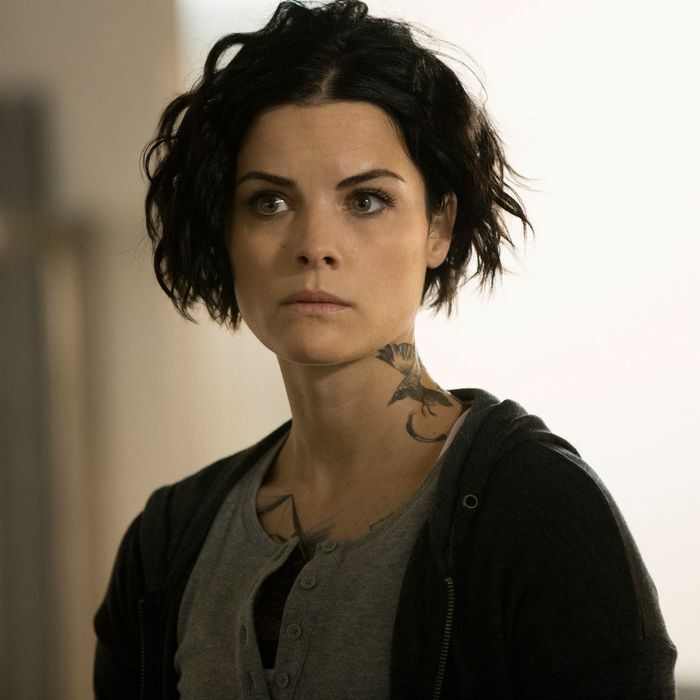 He finds himself in the care of the FBI, where Patterson decodes his identity and realizes he’s been dosed with the same memory-erasing drug as Jane. Before he even has a chance to recover his memories, he’s stolen away by the Army CID, and then again by North Lake, the military-contracting company who is working with a creepy Mengele-like doctor to perfect the drugging formula even if it means killing Charlie. Weller and Co. make it to the scene before Dr. Creep can kill Charlie, but not before she doses him with the memory erasers. In desperation, he runs as Jane follows with her empathetic, Gestalt-school approach. It works against her this time; Charlie attacks, holding her at gunpoint. Weller takes the shot. Devastated in the wake of what she sees as unnecessary killing, Jane turns away from Weller and grits her teeth against Mayfair. In defiance, she drops Oscar’s pen on Mayfair’s desk. At the end of the day, the pen was simply a test of loyalty. And in return for her loyalty, she learns that the mission Orion is where she died. Over in Weller-land, Kurt takes a whack at connecting with his dad over a jammed up Vitamix, and the two laugh over green smoothies as if they were at a bar watching baseball and shelling peanuts. Prompted by Jane’s question as to why hasn’t he forgiven his father, Weller probes him about the night Taylor was taken. In a good showing of craggy-faced emotion, Weller Sr. breaks down and admits that he had attempted to kill himself that same evening, but couldn’t go through with it. In effect, he pushed Weller away so he wouldn’t transfer his own pain and anger to his son. And now we know from whence Weller’s rage comes. (But not why he has such a weird accent.) If Weller’s dad can be believed, we also learn that he is not a retired CIA, FBI, or black-ops agent. He’s just a sad, old man. And that’s, well, sad. A series of letter fragments are twisted around to match the names of five soldiers who were allegedly killed by IUD attacks. Speaking of anagrams, it seems these episode titles serve only as a permuted jumble of letters. This one, like the eleven before it, makes little sense. I’d love to know whose job it is to figure this mess out.